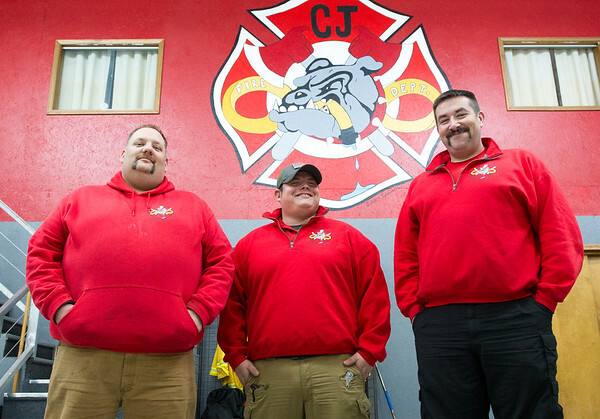 From the left: Carl Junction firefighters Scott Skoglund, Rueben Basaldua and Chief Joe Perkins stand inside the Carl Junction Fire Department last week. Basaldua is a full-time firefighter for Carl Junction, while Skoglund is a volunteer who works full-time for the Redings Mill Fire Department. Chief Perkins said about half of his volunteers also work for other departments.